This past week I had the pleasure of “attending” the 2015 Accessibility Summit hosted by Environments for Humans. While travelling for conferences is great, this one was different. The Accessibility Summit was held completely online. Attendees joined two, full-day webcasts via Adobe Connect and were able to watch speakers who were presenting from their own home or office as well. What’s neat about the webcasts is that the main slide deck was presented on screen, along with live video of the speaker and a chat room for attendees. The chat room provided a great way for attendees to ask questions. I’ve attended in-person conferences in the past, but this was my first virtual one. It won’t be my last. The model has proved popular. So much so, that Environments for Humans also hosts online summits for CSS and Content Strategy. Online conferences are very affordable and let you stretch your PD budget further. As in past years, the summit had several well-known accessibility practitioners present from organizations such as WebAIM, Simply Accessible, Knowbility, Adobe, Salesforce, Deque and CanAdapt. Sessions covered topics like testing, process, evangelism and even got into the nitty-gritty of standards. 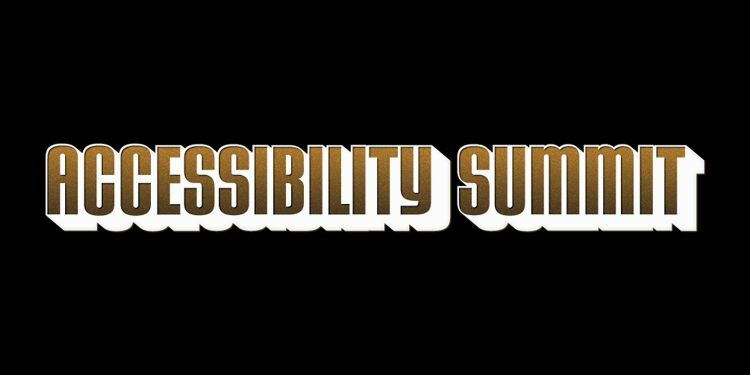 If you’re looking to learn more about accessibility I’d definitely recommend attending next year's summit. Ryan is Industrial's Quality Assurance (QA) Manager, responsible for our overall QA processes and ensuring our work meets the highest standards. Ryan is also our champion for web accessibility both internally, and for our clients.